Back in the early summer of 2016, the online retailer Ocado had the dubious honour of being the most shorted stock in the market. Around 20 percent of its shares were out on loan as hedge funds bet heavily against it. With a market cap at the time of £1.57bn, it was pilloried for having a stretched valuation and shaky business model. Fast forward three years of course, and things look very different. 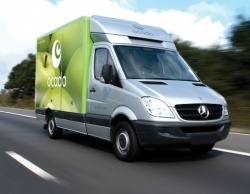 Ocado has some big deals in the bag with international retail giants. And while profitability seems some way off, it’s now a business that gets taken seriously. Whisper it, but Ocado is turning into one of the UK’s big tech-driven success stories of recent years. With a valuation a whisker away from £10 billion, most its short sellers are long gone. Indeed, against a backdrop of heightened uncertainty - and the market slide late last year - Ocado has thrived. In terms of relative price strength, the stock leads the FTSE 100 by quite a distance on a 1-month, 3-month, 6-month and 1-year basis. Bear in mind that a year ago a pretty hefty eight percent and more of its shares were still being shorted. Since then the price has confounded the smart money and soared by 170 percent. Nothing else comes close. Those that were utterly convinced it was a house of cards have probably had a lot of explaining to do. Whatever happens from here, Ocado’s stunning change of fortune in recent years is a reminder - on an individual stock basis - of just how unpredictable markets and investing can be. Finding these kinds of shares (and sticking with them) can be exceptionally hard. Which is why a diversified portfolio approach may actually be a preferable way forward. After the declines in the market last year, there has been a modest rally unfolding in the early months of 2019. The FTSE 100 is up by around 10 percent and the FTSE 250 is slightly ahead of that. Recoveries among the smaller stock indices like the AIM All Share have been more muted. Hi Ben, do the runners keep on running? I don’t see Fevertree and Greggs in your screen, likely they would have been in it when Ocado was well underwater in anyone’s portfolio. Maybe FVR and GRG are on their way down even now. Looking back at my 19-share list of software companies in my virtual £500/share portfolio of last October date, I see that MCRO has gained £176 with AVV in 2nd place being £116 up and 3rd is SDI at £114. Great stuff, but overall the portfolio is £251 underwater. The losers? ACSO the biggest with minus £336, next is CML minus £177 and then SOPH losing £148. These are the guys who put this portfolio underwater. Had I done a bit of weeding and collected some dividends this picture would look a bit better. It’s painless fun doing this and what a glorious waste of time! It rubs in the fact that I should not have sold my Halma Shares. £FEVR and Greggs (LON:GRG) are not FTSE100 companies. You can run that screen for other indexes, maybe quite interesting. Just looking at Fevertree Drinks (LON:FEVR) it has only gone up about 10% in the last 6 months, Greggs (LON:GRG) is up 69% and is the highest in the FTSE250.